Palau Rental Shack prepared two sets of TS-570S, ALS-600 (500W Output Linear Amplifier) and FC-901(Antenna Tuner). The details of all Radio Equipments are as follows. 2 sets It is a 100W Output All Mode Transceiver for HF and 6m band. It is the transceiver which is easy to treat. AF-DSP, high-speed automatic antenna tuner, and 500Hz CW filter are built in. 1 set It is a 500W Output Solid State Linear Amplifier for HF band. It can be used only by changing a band switch. 2 sets It is a generous 30A Switching Power Supply. It can be used as a DC Power Supply of TS-570S. 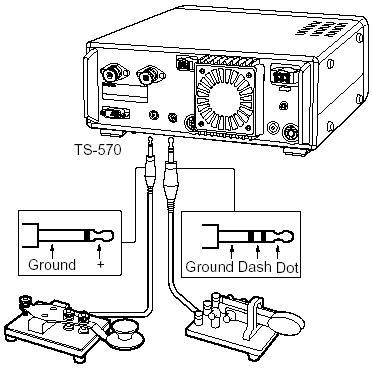 Since there is a margin like 8A even if it connect TS-570S, it can be used also as a power supply of radio equipments which you had. 1 set It is the antenna tuner of manual tuning type. It copes with output 500W. Use if necessary. 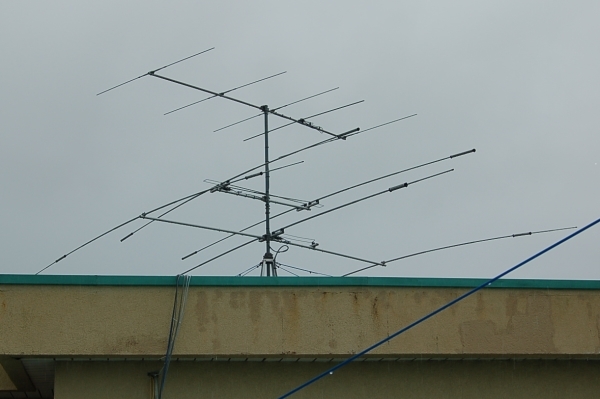 1 set for Roof Tower [ 1 ] It is a Rotater Controller for rotating 6m 5ele Yagi, 17/12m bands 2ele HB9CV and 20/15/10m bands 3ele Yagi. 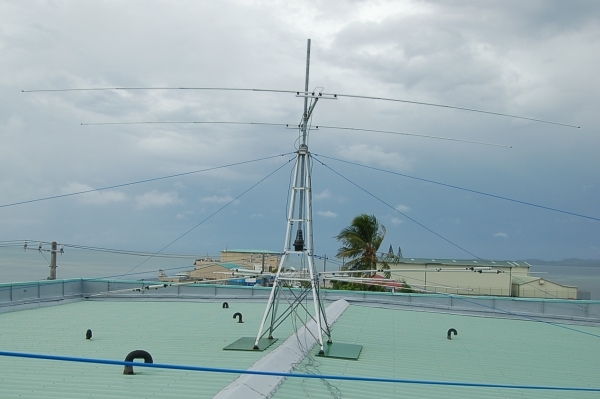 1 set for Roof Tower [ 3 ] It is a Rotater Controller for rotating 40m band Diople, 80/75m bands Diople, 20/15/10m 2ele HB9CV. 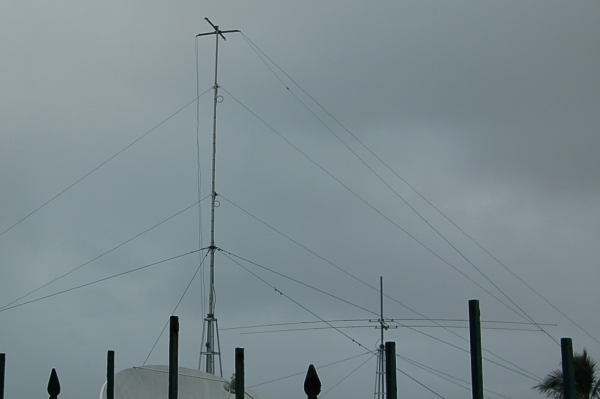 The installation of the antenna is completed for 160-6m Bands on three roof towers now. 5ELE YAGI It is a 5elements Yagi for 6m band. 2ELE HB9CV It is a 2elements HB9CV for 17/12m bands. 3ELE YAGI It is a 3elements Yagi for 20/15/10m bands. 75m Inverted-L It is a fullsize Inverter-L. SWR is littlebit high. Can use with FC-901(Antenna Tuner). Maximum input is 2kW-pep. 40m Inverted-V It is a fullsize Inverter-V(diople). SWR is littlebit high. Can use with FC-901(Antenna Tuner). Maximum input is 2kW-pep. 30m Inverted-V It is a fullsize Inverter-V(diople). SWR is littlebit high. Can use with FC-901(Antenna Tuner). Maximum input is 2kW-pep. 2ELE HB9CV It is a fullsize 2elements HB9CV for 17m band. In the Palau rental shack, the following vessels are not prepared. Please bring it according to your operation plan. Headpone jack of TS-570S is 6.3mm jack. The backside of TS-570S is a right picture. If you bring the paddle, it is possible to connect it with TS-570S. --- It is 3.5mm jack. There is no message keyer. Please bring it if you use message keyer for opetation. --- It is 6.3mm jack. There is a conversion plug of 3.5mm and 6.3mm. If you do not stick to, it is preparatory made in China paddles. However, there is no massage keyer. The Microphone of TS-570S is only Handmaicrophone NC-43S. No, desktop microphone. If you connect Internet. It is Wi-Fi only. No ready cale Internet. Please bring the notebook computer that applies to Wi-Fi. You will be able to buy the card of Wi-Fi immediately. Please hear it in detail at the hotel. The rental shack can't support the Internet. 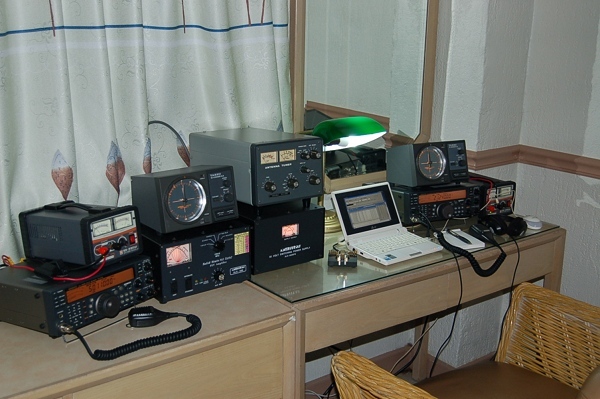 Please do not operate RTTY, PSK31, SSTV using TS-570S of the rental shack. Please bring your rig if you hope for the operation of RTTY, PSK31, SSTV.